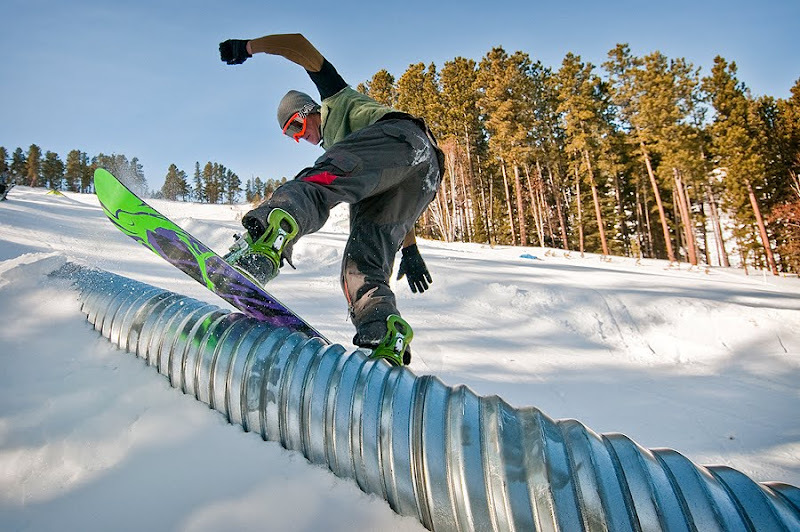 Shooting winter action sports is always fun, especially for those of who wish we had media passes for the upcoming Winter Olympics. 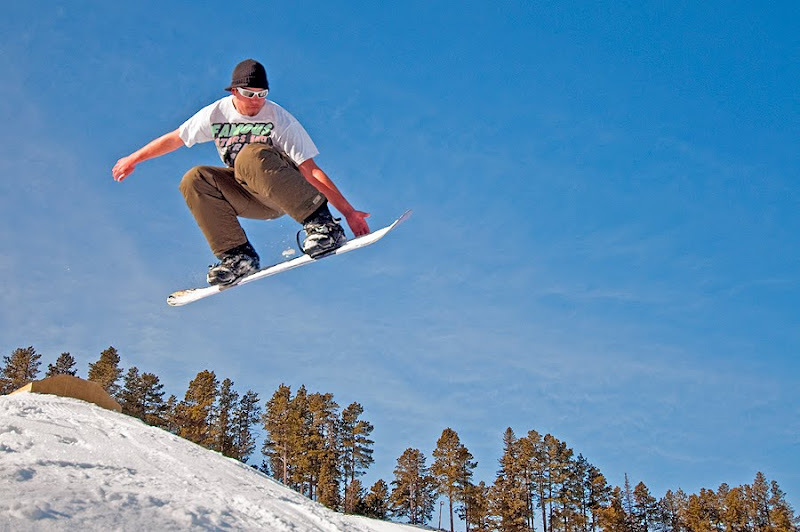 Snowboarders seem always willing to show off their best tricks, whether there's a camera around or not. When one is present, they pull out all the stops like this. It takes barely any coaxing at all for them to start showing off. That's right - the weather was so nice on Friday that Kody here only needed a short-sleeved T-shirt! 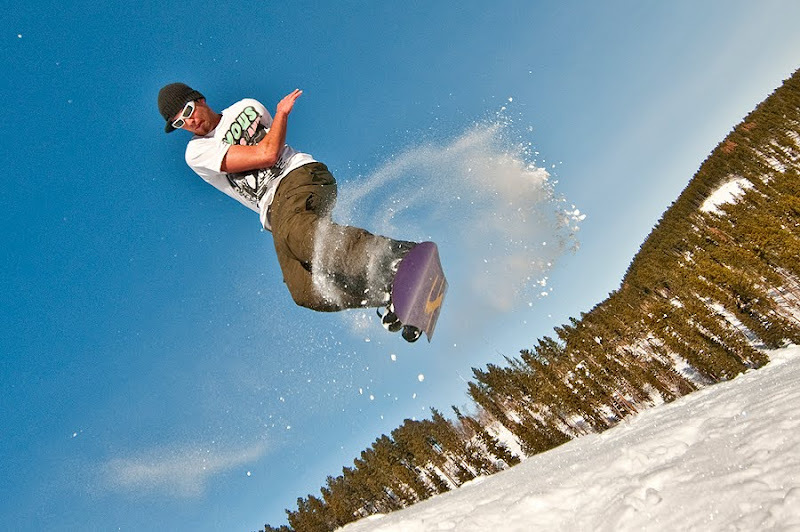 Shooting skiing and snowboarding takes fast shutter speeds to freeze the action and a willingness to park yourself in a snowbank and wait for the right action to come by. Remember that all that white snow is going to fool your meter into thinking the scene needs to be darker than it does. Setting the exposure about 1 stop over what the meter tells you will work in a lot of cases, but a little testing will confirm what matches the conditions you are shooting in. Check out Mystic Miner Resort's website for more info.